With Memorial Day weekend fast approaching it’s not too soon to make your plans for the holiday. There are plenty of activities taking place in the surrounding Grand Strand area and beyond. We have plenty of availability in our condos and hotel rooms at Grande Shores but resorts up and down the coast are filling up fast. Of all the Myrtle Beach resorts in this area, you’ll find ours to be one of the most luxurious places to stay. Enjoy your weekend and be safe! Brookgreen Gardens 5K and 1K – Join us on Sunday, May 28 for the 4th annual 5K and 1 mile race at Brookgreen Gardens. This is one of the area’s most popular races. Brookgreen Gardens is on the National Historic Registry and one of the most scenic locations in the Southeast. It’s one of the few evening races in the Myrtle Beach area, beginning at 6 p.m. Entries are limited to 500 participants. Ocean Boulevard Memorial Day Parade – This popular parade begins at 10 a.m., Saturday, May 26. The parade starts from 27th Avenue North and travels south to 9th Avenue North, with great views all along the route! National Guardsman Alek Skarlatos is the 2017 Grand Marshal for the Military Appreciation Days parade. 7th Annual Dirty Myrtle Mud Run will be held on May 27, 2017 at Waterbridge, Carolina Forest. Races start at 9 a.m. California Dreaming will be providing food at the finish line. Mud Run Course is approximately 3 miles for adults and 1 mile for children. 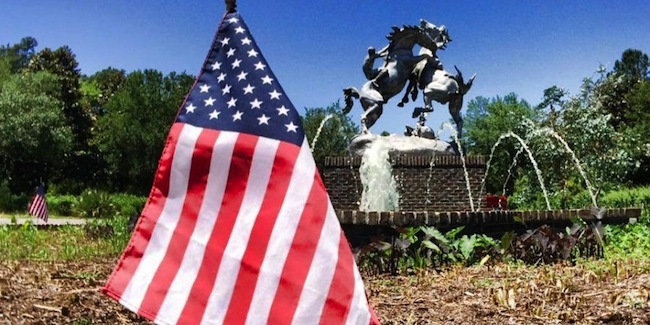 Red, White and Blue Salute to Veterans — Brookgreen Gardens transforms into a salute to veterans with flags placed throughout the gardens denoting sculptures created by veterans as well as patriotic sculptures. Brookgreen Gardens combines nature and art for a one-of-a-kind experience at the beach. Admission prices are $16 for adults 13-64; $14 for seniors 65+; $8 for children 4-12; free for children 3 and under. 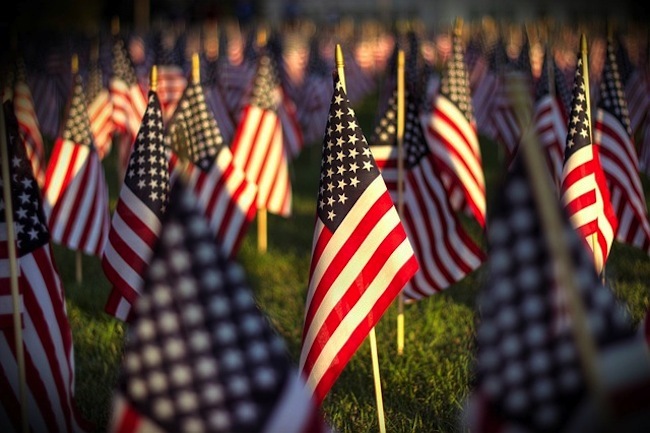 Military Appreciation Days Parade — Myrtle Beach celebrates Military Appreciation Days during the month of May with a full schedule of activities. U.S. hero Alex Skarlatos will be the Grand Marshal for the parade beginning at 10:30 a.m. The Parade returns to the site of the former Myrtle Beach Air Force Base, now known as The Market Common. The parade steps off at 10:30 a.m., Saturday, May 27, and travels Howard Avenue and Farrow Parkway. We expect this year’s parade to be one of the biggest and best ever! Surfside Beach Memorial Day Golf Cart Parade – Takes place at 1 p.m. on Sunday, May 28, 2017 beginning at 16the Avenue North and travels south on Ocean Blvd. to Melody Lane. Call 843-650-9548 for more information. Memorial Day Service – There will be a Memorial Day Service from 2:30-3:30 p.m. at the Veterans Memorial in Surfside Beach on Monday, May 29, 2017. Previous PostPrevious The 2nd Annual Horry County Fair is Coming Soon!